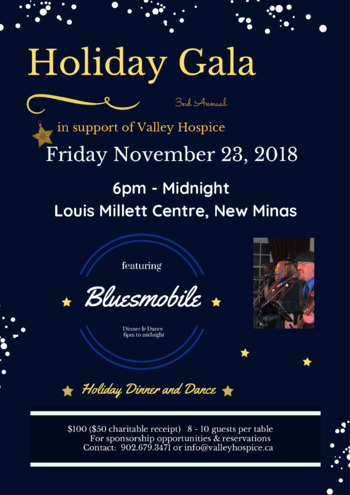 A festive evening of dining and dancing in support of Valley Hospice. ~ 3 course Prime Rib Dinner prepared by Chef Kerina Dykstra and served with local wines. 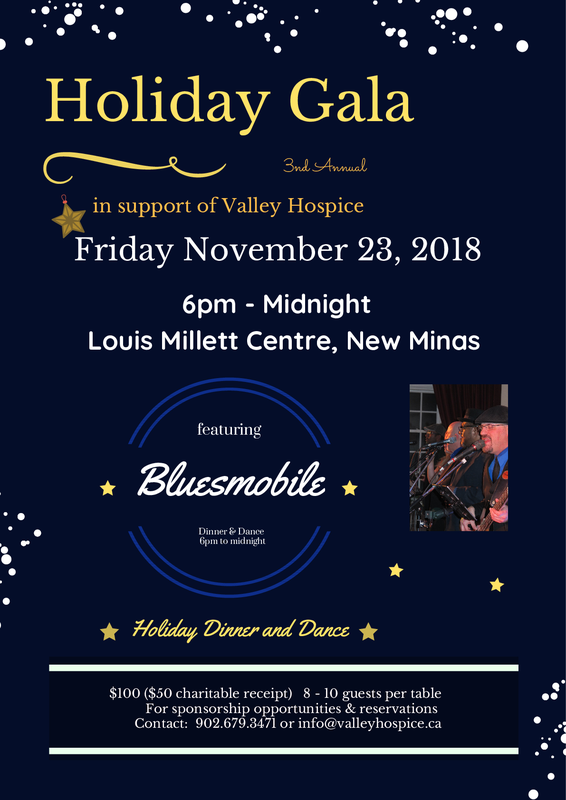 ~ Dancing until midnight featuring Bluesmobile! Ticket includes a charitable tax receipt!